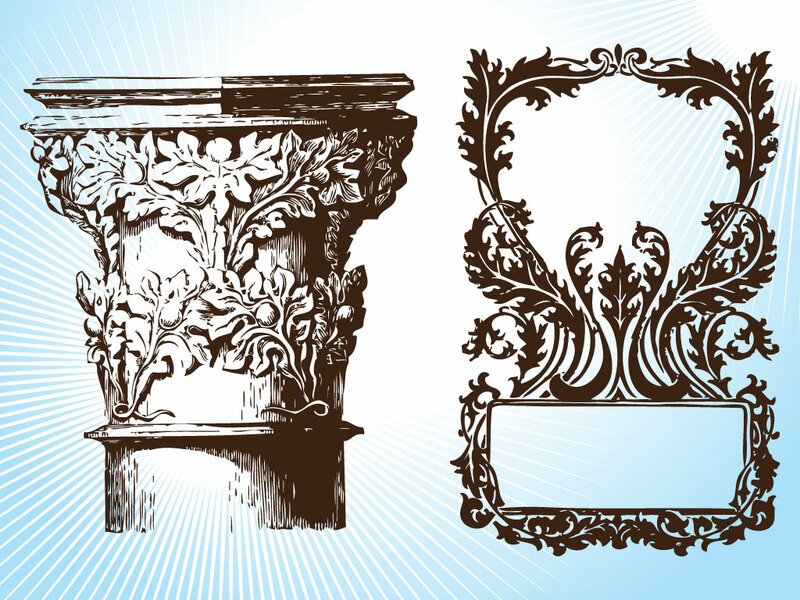 A beautiful ornate column capital and a antique floral framework make up this vector file. Add either of this elements to your designs to add a touch of elegance. Useful design footage for your Greek and Roman history, Greece, Italy, Rome or Europe travel brochures and tourism designs. Tags: Antique, Capital, Column, Corinthian, Engraving, Floral, Greece, Romanticism, Rome.